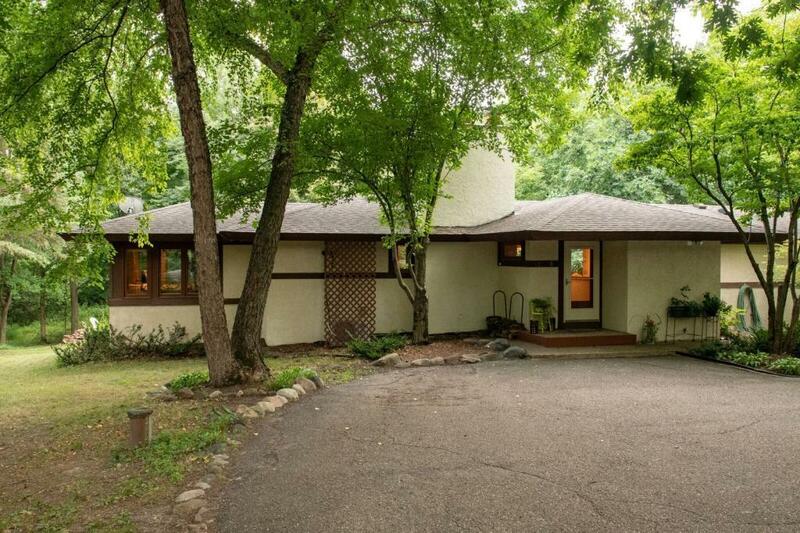 Privacy at its finest in this John Howe (Frank Lloyd Wright's senior draftsman) design. 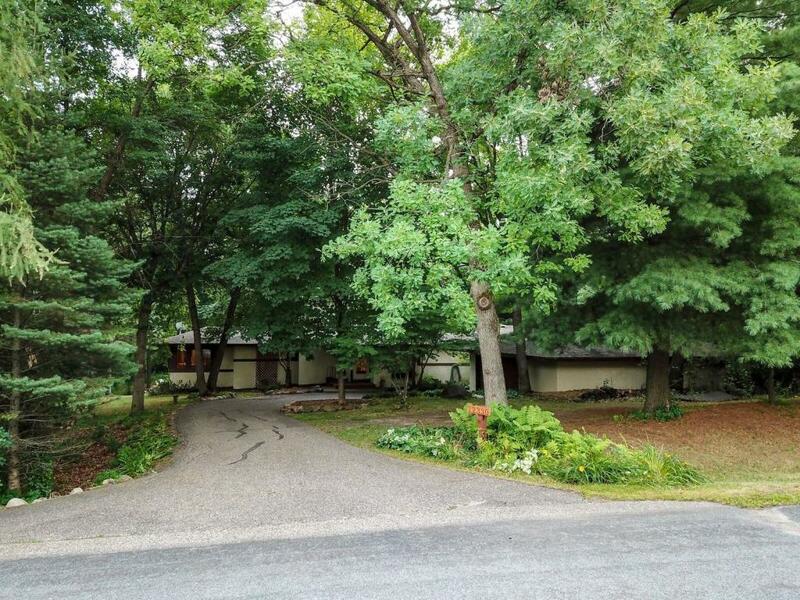 Situated on 3.23 lush acres this 3 bedroom, 2 bath home will not disappoint. 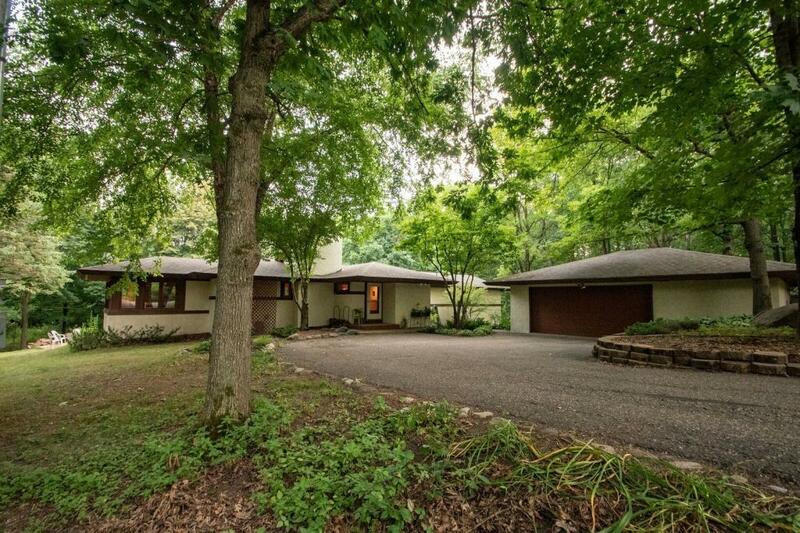 If you are looking for that special and unique one-of-a-kind home, you have found it. 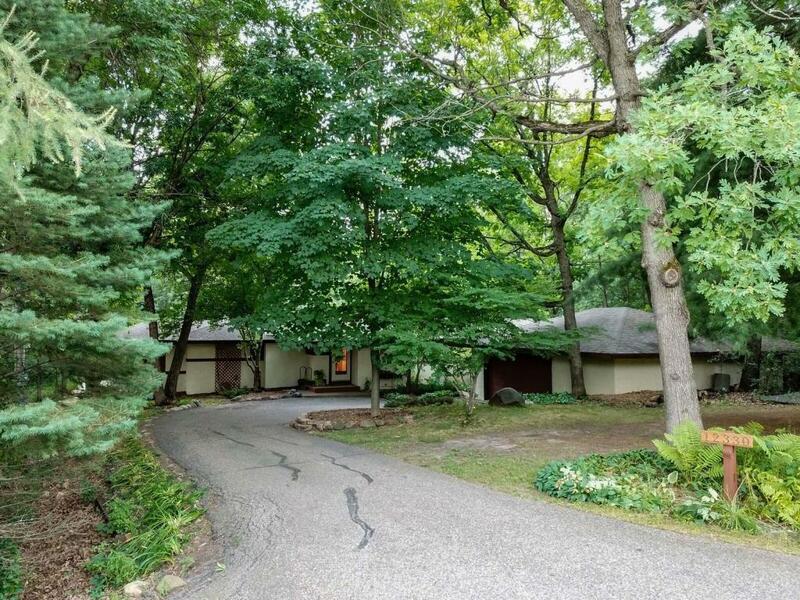 Two tier deck vaulted ceilings, bonus sunroom, oversized garage, and architecture to melt for. Close to shopping and highways as well. Bring your horses if you desire...Murphy Hanrehan 8.3 mile trail just steps away from home. Lots of wildlife too! !